This year, we are extremely pleased to share an entirely new section of our top influencers list: The New & Noteworthy. If you’re interested, you can check out last year’s Top 40 Influencers, [HERE – 2016 Top Influencers]. This year, we opened up nominations just like last year and tallied up the names, brands, and entities with the most frequency and considered the reasons given in the notes section to how they’ve been influencers this year. So… without further ado. Here are YOUR 2017 Top 40 Influencers of Physical Therapy! Rich Severin is no stranger to the influencers list. He was named last year and has had a big voice in the complete practice of physical therapy with his #VitalsAreVITAL movement. This year, he spoke at the national physical therapy conference, Combined Sections Meeting (CSM), on the topic of social media and its role in academics. Dr. Severin is also the administrator of three ginormous community groups on Facebook [here, here… and, here], with over fifty thousand members between them all. We welcome EIM back to the top influencers list. With their already dominant footprint in the space of continuing education, residency, and business excellence — their Inside Leadership podcast has been quickly growing, they continued to expand and grow the new two year DPT school model, and the surrounding team includes ISPI, KinetaCore, and NeuroRTI. Not to mention, the core team of influencers in their own right: Larry Benz, John Childs, Tim Flynn, Robert Wainner, and many more! Michael Wong and the PhysioU team have been making a big splash on the international front. Having traveled all over the world in teaching expeditions including places such as Singapore for the World Confederation for Physical Therapy or all across China for the USC Spine Fellowship program; the entire team at PhysioU are actually influencers in their own right with maxed out sessions as CSM, state chapter conferences; all transforming the delivery and experience of physical therapy education through the integration of technology. With a strong presence in pelvic health, pain science, and on various outlets such as the PT Podcast Network, being the Co-Host of Pain Science & Sensibility, Sandy is well known in the private practice community. Additionally, she is involved in the San Diego Pain Science Summit and her company (Entropy Physio, which hosts many cutting edge courses from the heart of Chicago — not a bad place to be to consume some of the best content in physical therapy, in person) is offering a student scholarship to attend! “Dr. E” came on the scene back in 2011 and has dominated the world of manual therapy and social media since. It all started with The Manual Therapist, now Modern Manual Therapy; it is through this major outlet that Erson offers online training, in-person-CEUs, along with an incredible blog filled with clinical pearls in treating pain, optimizing function, and much more! A pelvic health influencer, educator, and private practitioner, Tracy is the founder of the Pelvic Guru — a wonderful resource for both patients and providers in the much under attended world of pelvic health. With an amassing followership on social channels, Tracy has been a positive force in a world that has otherwise been largely underserved and unnecessarily affiliated with a concerned stigma. Institute of Clinical Excellence. Jeff Moore is a dynamic teacher, a faculty member at Evidence in Motion, and founder of The Institute of Clinical Excellence. Known for his high energy live broadcast called #PTonICE, he is also a mentor to students, fresh grads, and even established professionals via PT Masterminds. One of the leading voices in concussion management, Jess continued to make an impact in 2017. Through her outspoken push for physical therapy to have a leading voice in critical concussion conversations and events, Jess has built bridges across many professions and interests in this truly important arena in many athletic circles. Additionally, Jess is part of the APTA Media Corps. This year was a big year for Heidi and WebPT. Heidi has led WebPT to be used by over 10,000 clinics, won numerous entrepreneurship awards, and along with the WebPT team spearheaded the acquisition of ever growing healthcare customer experience tech startup StriveLabs. Heidi demonstrated continued leadership within the physical therapy profession through lobbying efforts, humanitarian efforts such as Rehab Therapists Give Back and the popular Ascend Business Summit. Karen, who hosts the popular Health, Wealthy and Smart podcast as well as practices physical therapy via a concierge home health model, had a strong 2017. Karen maintained a consistent presence with her podcast as well as organized the second annual Women in PT Summit. The event drew a lot of praise and support from many within the physical therapy industry. Joseph quickly became to go to resource for one of the most daunting issues for young (and not so young) physical therapists — student loan bills. Joseph’s company FitBUX, helps individuals wade through a multitude of confusing options in order to best set them up on an ideal financial pathway. Joseph has remained engaged and active within the community, readily sharing advice and suggestions which has helped him earn trust with many in 2017. Paul, the UK based physio and marketing specialist continued to expand his programs and teaching in 2017. 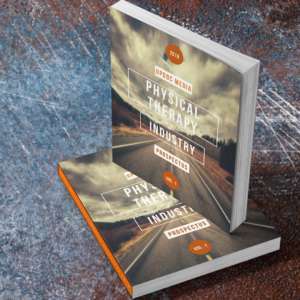 He is increasingly becoming the go-to resource learning how to integrate marketing principals into physical therapy practice. His online courses as well as Facebook groups continued to grow in popularity in 2017. Greg, a private practice physical therapy business owner in Florida continued expand his Smart Success PT (SSPT) Nation in 2017. He remained a social media staple with regular motivational and educational content. He also organized and ran a successful live conference event which garnered positive reviews. Jerry, a private practice physical therapy business owner in California and customer experience evangelist, focused on his personal brand in 2017. He partnered with fellow top influencer Jeff Moore to teach a clinical and business course. Jerry, also became more involved with PPS APTA activities. Danny, a hybrid model physical therapy and fitness business owner, also hosts two popular podcasts–Doc and Jock as well as the PT Entrepreneur podcast. Danny has spoken about what it takes to grow an out of network model within physical therapy which helped solidify him with a growing, yet niche, market within physical therapy. Our own COO, Ben Fung, was highlighted for his influencership on career development and brand elevation. Ben is known for promoting constructive thought, proactive approaches to business growth, and making meaningful sense of metrics into actionable strategies in marketing — for both attracting customers and top talent. He is perhaps most popularly sought out for his talks on salary negotiations, and, scalable marketing through brand messaging and customer engagement. We’re welcoming back this dynamic trio — Mike, Arash, and Craig… aka, the Prehab Guys. Last year, they came in “new on the scene” with nearly 90k Instagram followers. What’s happened in a year? How about: almost 250k followers on Instagram, over 10k on Twitter, and nearly 70k on Facebook. Oh, did we mention that they all JUST graduated as Doctors of Physical Therapy? These three have proven that being an influencer isn’t about experience, credentials, or time — it’s about achievement and it’s about delivering valuable content to an audience that needs it. Known for his clinical practice called FitnessTx, Mitch is expanding his influence the head coach / manager at CrossFit Tuebor West in 2018. Mitch set out as a business owner immediately after graduating as a DPT. He continues his mission of integrating the best in athletics, strength, FMS/SFMA, MobilityWOD, and physical therapy — all to facilitate healing through a community approach. Kelly is a three time best selling author via the New York Times and Wall Street Journal, Physical Therapist, and CrossFit coach. Known for MobilityWOD, Kelly has led the way for bridging clinical knowledge with fitness relevance and relatable language. His courses, online content, and programming is used popularly by the CrossFit community, by martial arts and tactical athletes, and is otherwise physically based out of San Francisco CrossFit. This year Kelly and the MWOD brand further expanded with a revamped digital offerings, new IASTM tools and social media reach. John is one of the top fitness professionals in the world. In 2017, he launched new online programs, evolved his in person courses and continued to put a TON of articles and content. He is one of the leading voices in combining medical knowledge with practical fitness advice. Ryan emerged in 2017 as one of the leading voices and overall leaders in the fitness and clinical hybrid model. He co-founded Recharge, where he is also COO. Recharge is a physical therapy, CrossFit and fitness location in Maryland. Ryan also is a team member of Institute of Clinical Excellence where he teaches online and in-person courses. The Glute Guy aka Bret is one of the few non-physical therapists on the list. Bret is a PhD in sports science. He continued his growth in 2017 by distilling relevant research into practice. More importantly he integrates sound research into fitness programming which strongly resonates with his audience. He has helped guide fitness with a evidence-based approach and peoples butts are the better for it. Scot is a physical therapist focused on strength and conditioning. Scot has developed an extensive exercise library which can be seen on Physio Praxis. He has developed and guided discussion on exercise prescription and proper evidence-based integration. Zach is a hybrid model physical therapists combining fitness and clinical approaches. Zach continued to put out a tremendous amount of content in 2017 further pushing what it means to be a physical therapist with emphasis on exercise and strength training. You can find more of his content via The Barbell Physio. This fairly new podcast took it to another level in 2017, first known as “Two Knowbodies” and now seamlessly “The Knowbodies” — by focusing on real world topics that people struggle with daily, the podcast was able to connect with listeners and grow. The hosts, Will Boyd,Nick Bracciante, and Eric Dykstra, offer vulnerable and honest perspectives on common daily struggles and relevant solutions. While not a traditional media company, the APTA focused a lot on increasing media awareness. The ChoosePT campaign to help fight the opioid crisis garnered tremendous attention through commercials, Time Square advertising and social media marketing. The leadership team led by CEO Justin Moore and President Sharon Dunn were regulars on social media and multiple industry podcasts. In present time, James McAfee is currently a third-year Doctor of Physical Therapy Student at the University of Southern California. 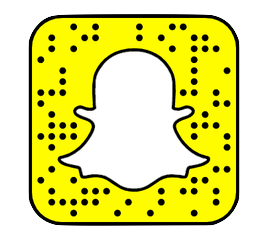 Behind the tens of thousands of daily views on Snapchat, SnapSPT originally delivered clever Snapchat stories with quizzes, clinical content, and all things that students in physical therapy need to know about. More recently, SnapSPT content has been emerging into the business realm of physical therapy — with content being used by established owners as well as startup practitioners. Serving in this much needed arena of what happens BEFORE you get into PT school, Joses Ngugi and Casey Coleman run the Pre-PT Grind LLC. With a growing community of both pre-PT students, current students, and helpful community mentors, the Pre-PT Grind has been rapidly growing on the scene and we look forward to their contributions to the profession in the years to come. Stephania remains one of, if not the most, visible physical therapists in the world. She is a regular on various ESPN shows with a focus on fantasy sports and injuries. Aside from that, Stephania is a regular at physical therapy events and remains an active participant within the industry. One of the longer running podcasts in the community, PT Pintcast continued to bring on top guests and down a variety of beers. Lead by Jimmy McKay, the podcast has one of the highest production values which is only bested by its overall content quality. 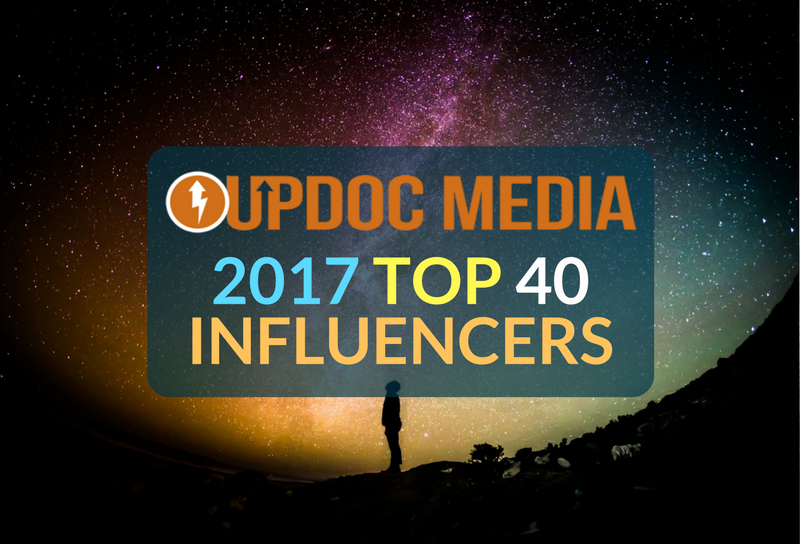 2017 was a big year for UpDoc Media. There were multiple video releases, a large salary report, jobs report and expansion of marketing services. Therapy Insiders podcast, hosted by Gene Shirokobrod, Joe Palmer and Erson Religioso passed 700,000 downloads. The UpDoc Media blog was one of the most visited sites in physical therapy. And, the introduction of Pathfinders for business and career mentoring in a group/community setting was a huge success. The year was capped off by introduction of a partnership with health-tech startup HealthSnaps, which joins the UpDoc Media family to revolutionize customer experience in the industry. Similar to the APTA, WebPT was a driving force in media production in 2017. Their monthly webinars drew thousands of people. The WebPT blog produced regular high quality posts ranging from marketing to billing. The WebPT team are regulars on social media not only producing and posting, they also regularly share other’s content which further drives connection. The APHPT, guided by Mike Eisenhart and the Institute of Clinical Excellence team, has build a strong community in a very short amount of time. Focused on improving the overall health of society, the team at APHPT is an active, engaged and immensely driven group with a strong mission. Jarod Hall has been contributing a lot of clinical content as of late; many which have been helpful live broadcasts on Facebook. 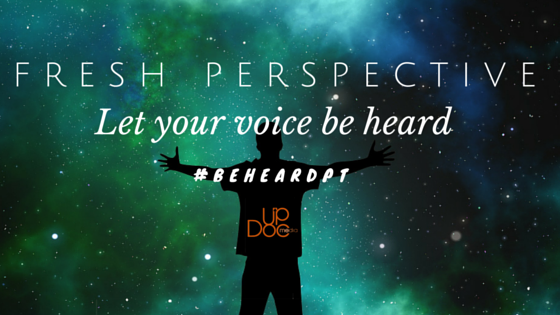 Helping bridge the classical gap between clinical education and clinical experience, Jarod has been demonstrating great thought leadership within the #socialPT circles. Jenna is a student physical therapist who has been making quite a splash, appearing on blogs and podcasts as well as heading up the New York SSIG as a Co-Founder and serving with the NYPTA Student Conclave 2017 Development Team. Additionally, Jenna works with the NYPTA Greater New York Legislative Task Force and is the NYPTA Public Policy Committee Student Liaison. Beyond this, she also runs Fairy Tale Physical Therapy — focusing in the passions of dance and performing arts. For quite some time, industry experts have pointed the way towards telehealth. However, all know that actions speak louder than words. Designed by the employee owned Physical Therapy practice, Team Movement For Life, teleMOVEMENT is an algorithm based telehealth solution that partitions user response and symptoms into various levels of categories of clinical need. Depending on self reported symptoms and other proprietary processes, users can initiate a telehealth consult or screening; or, can be referred to the appropriate provider. TeleMOVEMENT is unique in that it has a consumer facing, provider facing, and employer facing platform — a true triple threat! Vince has become a active supporter of clinical mentorship in both traditional and virtual channels. He is quite active in the DPT Mentors Facebook group, has a blog called Movement Thinker, and has become a regular part of the #socialPT conversation with all things related to development of clinical excellence in the early clinician. F Scott is a seasoned clinician and DPT, wrapping up his Doctorate in Education. After his experiences within the academic forays, he decided to start his PT Educator website; along with the Healthcare Education Transformation Podcast with co-host Brandon Poen, challenging the status quo on how education is delivered, experienced, and propagated in the healthcare professions. Additionally, F Scott serves as a community mentor for the Pathfinders Business & Career Mentorship group. Hosted by Tim Flynn and Jeff Moore, this podcast address pain for a very human perspective. The hosts bring on guests and challenge them to contextualize pain into how it truly impacts people and what to do about it. The conversations are relevant, difficult and critical. This year, there were familiar faces that returned and good friends that breached the scene into influencer-ship. What is great is how many of these influencers are chiming in with their perspectives and expertise in business — an area that we need much more depth in for the physical therapy industry. 2018 looks to be an incredible year. Filled with change, expected turbulence — but, mostly, opportunity. We look forward to seeing how our influencers will bolster positive movements in our profession, and, eagerly anticipate new influencers to spawn from the current inspirations given us.